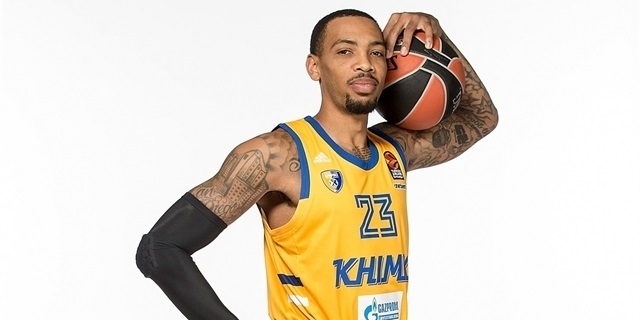 Khimki Moscow Region ended its three-game losing streak with a win over Zalgiris Kaunas on Thursday night, but in a fashion unlike any other this season. 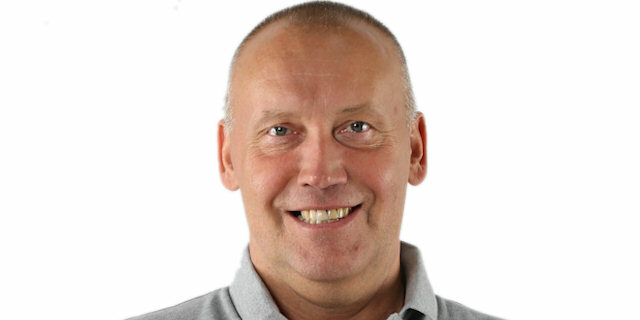 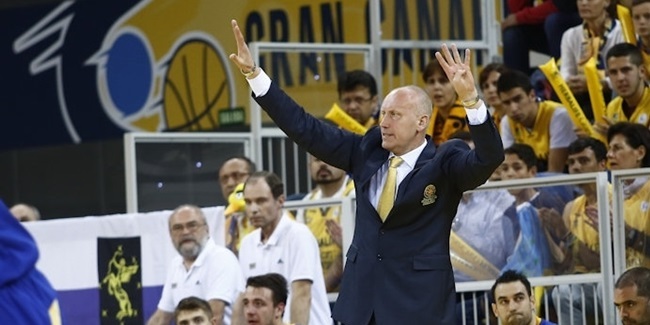 Khimki Moscow Region on Monday hired Rimas Kurtinaitis for a second candidacy as head coach of the club after Georgios Bartzokas resigned. 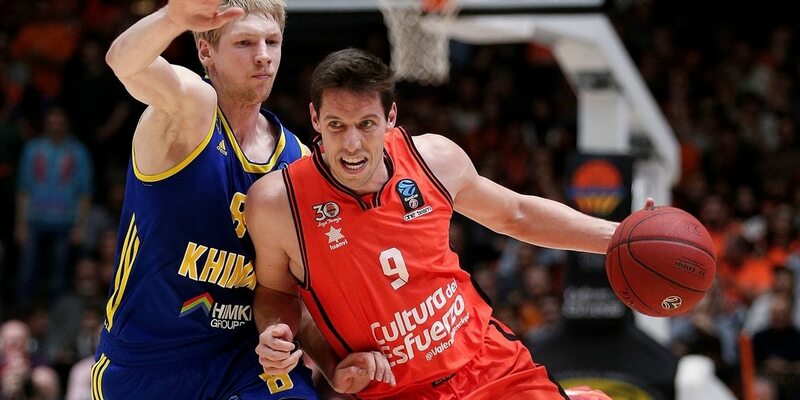 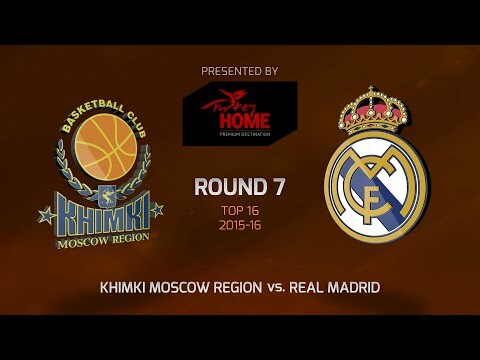 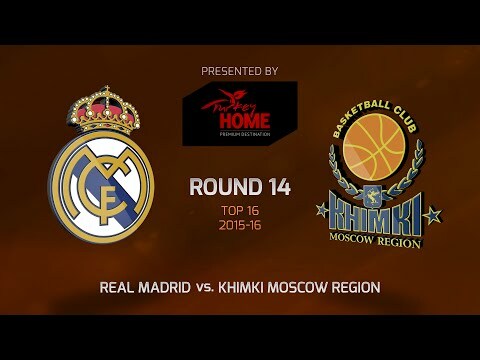 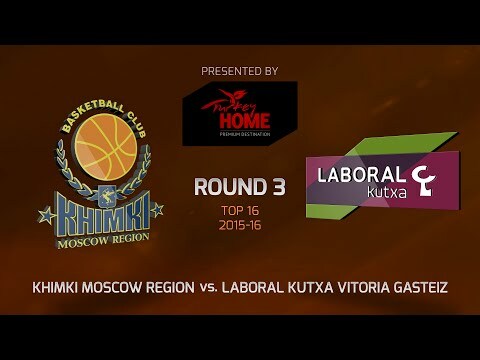 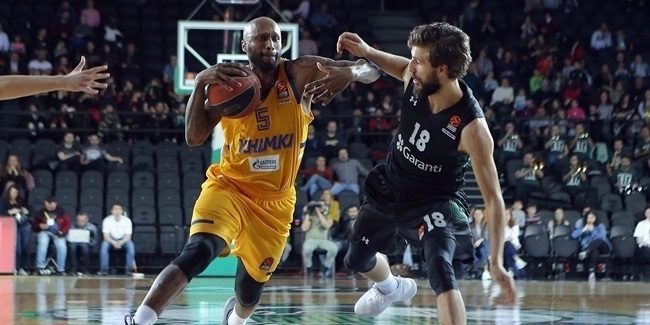 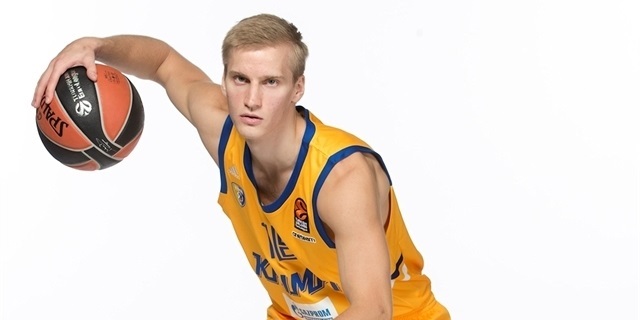 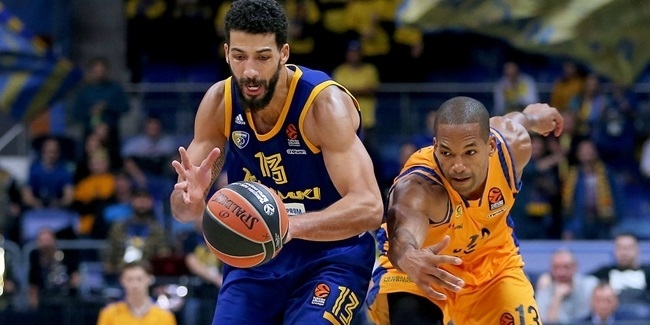 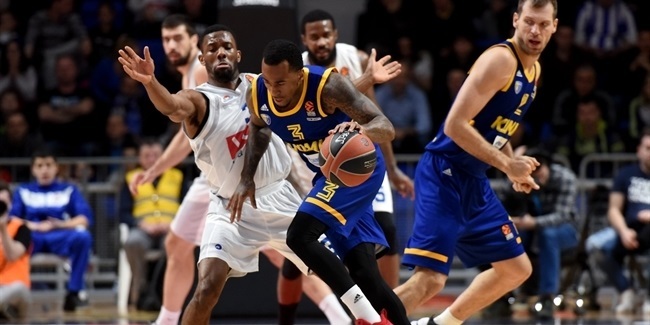 Thursday's game marked Khimki Moscow Region's second trip to Gran Canaria Arena. 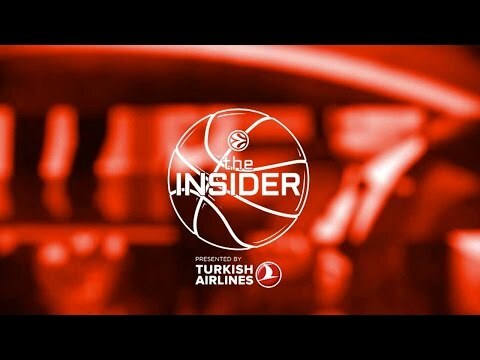 The club made sure it was a trip to remember. 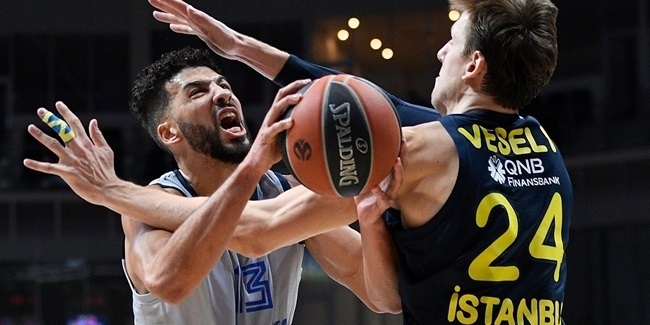 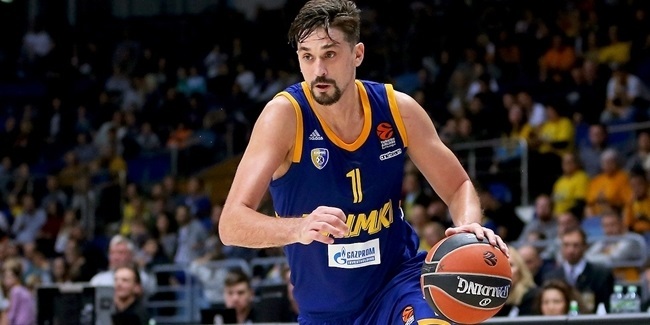 Playing without Alexey Shved, the most prolific scorer in the Turkish Airlines EuroLeague for a long time, Khimki Moscow Region kept its winning streak alive at three games. 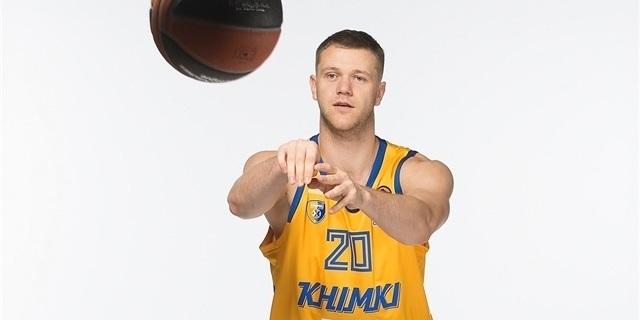 Khimki's luck turned with a basketball header! 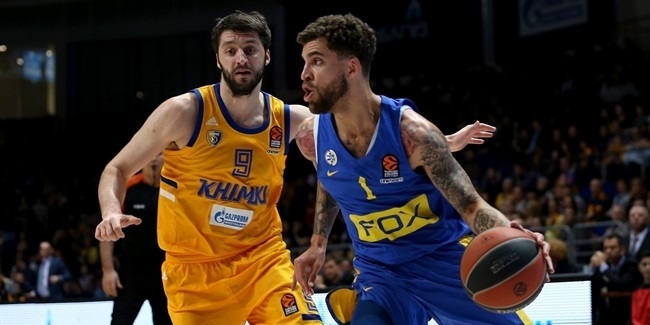 Maccabi FOX Tel Aviv recovered from a slow start to keep its playoffs dreams alive with a hard-earned 71-76 victory at Khimki Moscow Region. 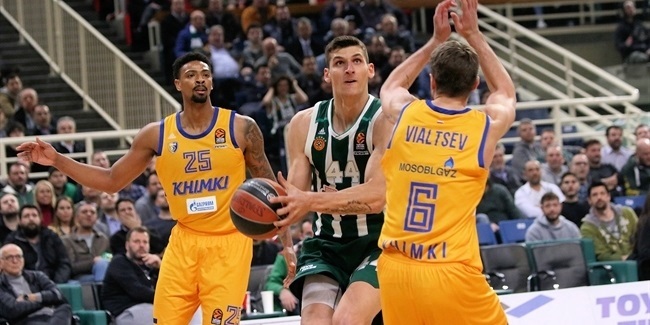 Darussafaka Tekfen Istanbul recorded its fourth win of the Turkish Airlines EuroLeague season by topping Khimki Moscow Region 91-85 at Volkswagen Arena on Wednesday. 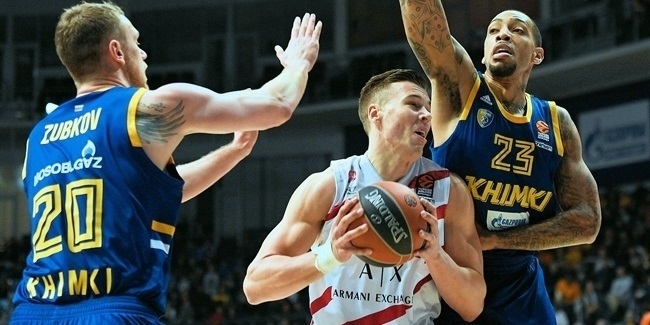 AX Armani Exchange Olimpia Milan improved its playoff chances by rallying from 14 points behind to edge host Khimki Moscow Region 88-90 on Thursday as Mike Janes had 16 points for the winners. 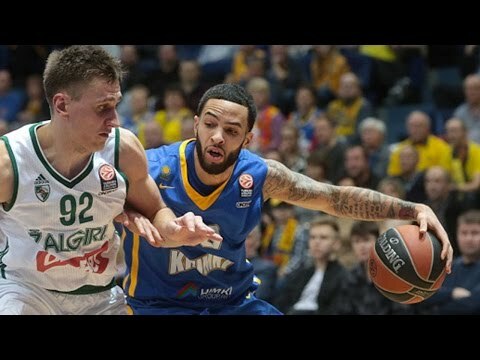 Panathinaikos OPAP Athens recorded its fourth consecutive home win by topping the team it was tied with in the standings, Khimki Moscow Region, by 94-85 in the Greek capital on Friday. 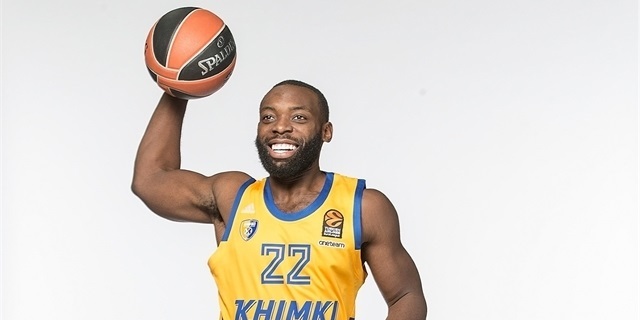 Khimki Moscow Region re-injected its name in the playoffs race by out-gunning host Buducnost VOLI Podgorica 90-98 in the Montenegrin capital on Thursday. 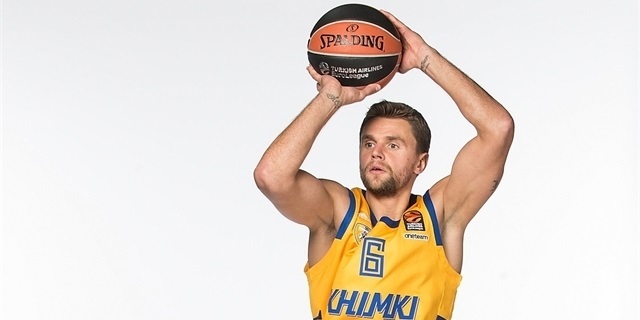 Khimki Moscow Region returned to the EuroLeague in 2017-18 ready to show it belonged at the top level. 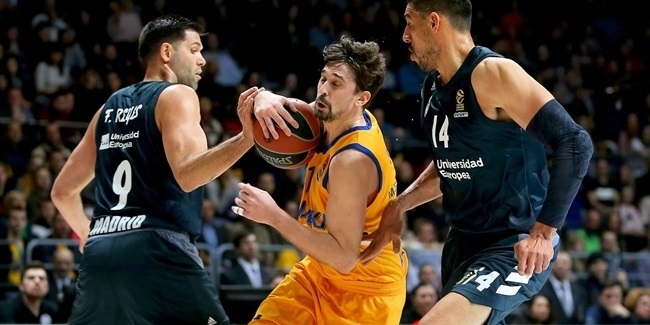 Things could not have started much better when, after six rounds, the team was already 5-1 behind a red-hot Alexey Shved. 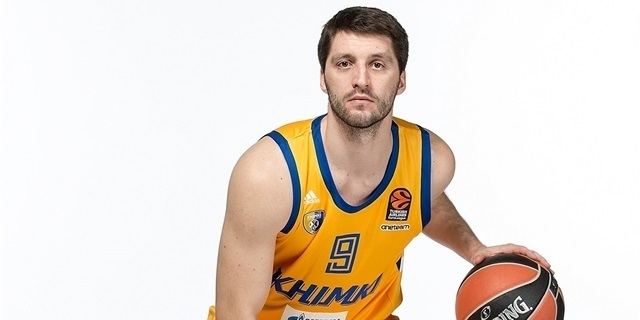 Though three straight losses followed, Khimki bounced back and stayed in the playoff hunt thanks to Shved, who was averaging more than 20 points per game. 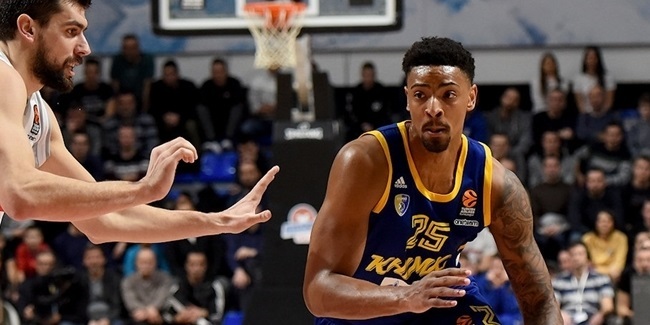 Three straight wins to start the last third of the regular season boosted Khimki, which despite some late losses claimed eighth place and a meeting with top-ranked and cross-town rival CSKA Moscow. 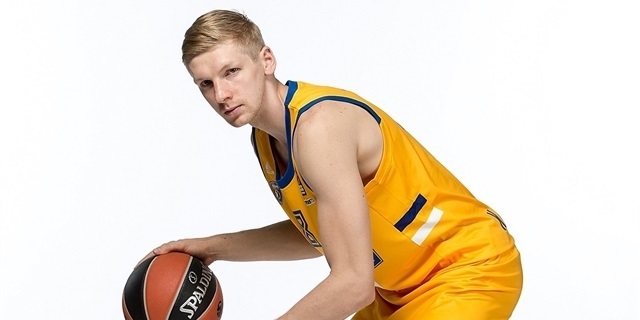 Khimki ended up falling in four close games, 3-1. 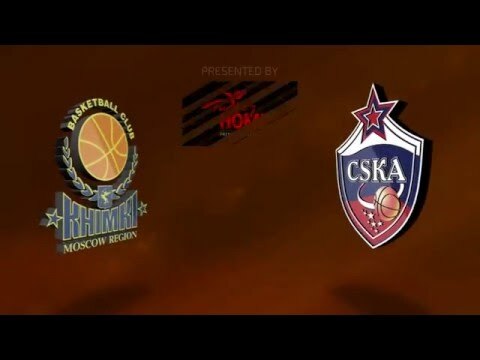 CSKA only outscore Khimki by 3 points in the series. 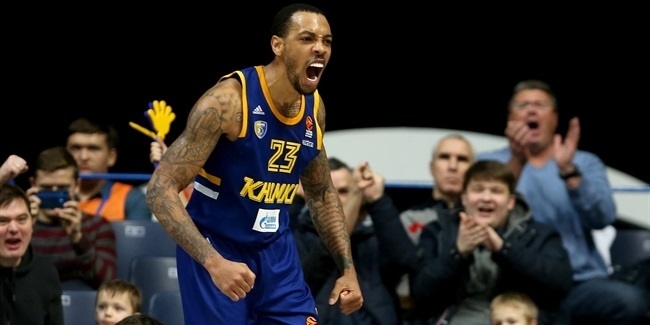 In the VTB United League, Khimki reached the title game where, again, it faced CSKA and, again, lost. 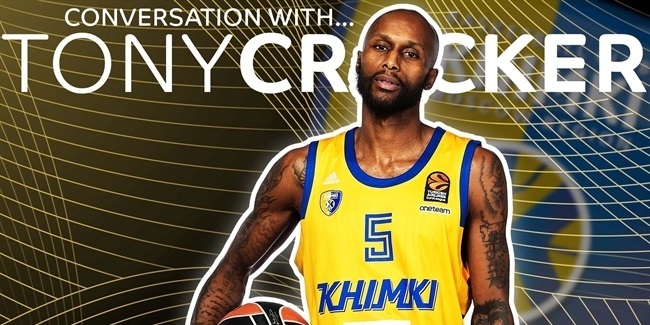 All in all, it was a good season for Khimki, which had its big dreams shattered by its biggest local foe. 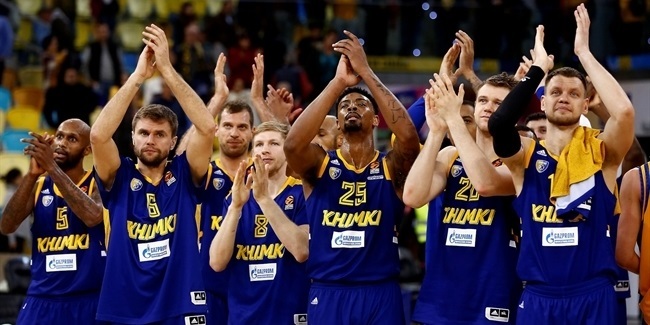 Now, the team is ready for another EuroLeague appearance boosted by its positive experience from last season. 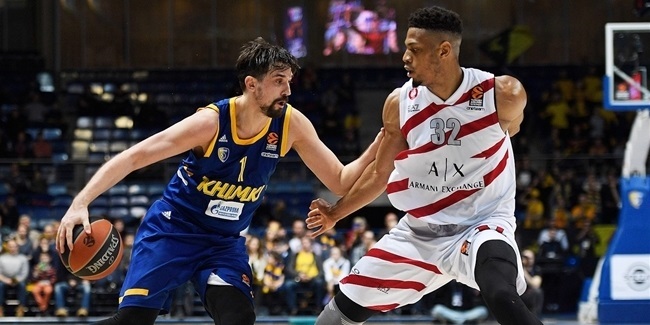 Khimki Moscow Region is set to play its sixth EuroLeague campaign, which testifies to the heights the club has climbed since its founding just two decades ago. 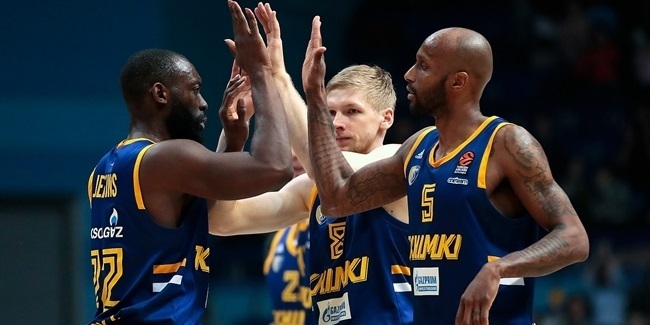 Khimki first opened its doors in 1997 and it took only six years to qualify for the Russian League semifinals and the first of three straight Russian Cup semifinal appearances. 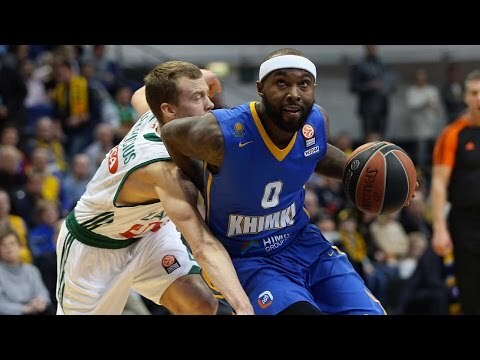 In 2006, Khimki reached the Russian League and Russian Cup finals, but fell to CSKA Moscow in both, while Joventut Badalona beat Khimki in the 2006 FIBA EuroCup final. 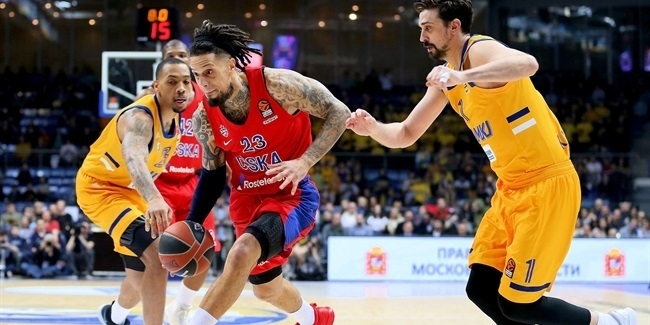 The young club’s hard work paid off when it downed CSKA in the 2007 Russian Cup final for its first crown of any kind. 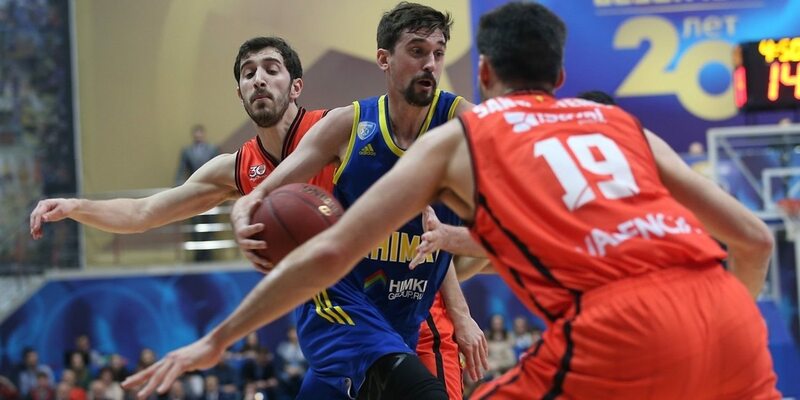 That season, Khimki also reached the first of three consecutive Russian League finals and made its ULEB Cup debut, in which it reached the Last 16. 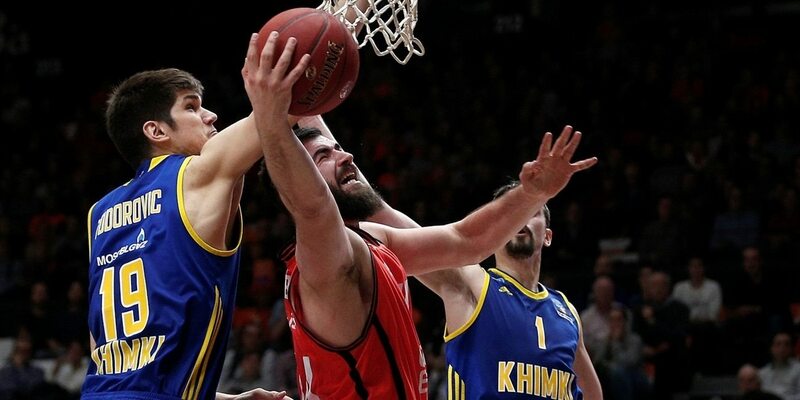 Khimki made more big strides in 2008-09 by reaching the EuroCup title game, but fell short against Lietuvos Rytas Vilnius. 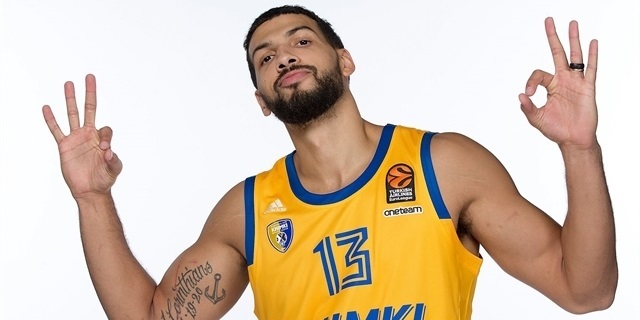 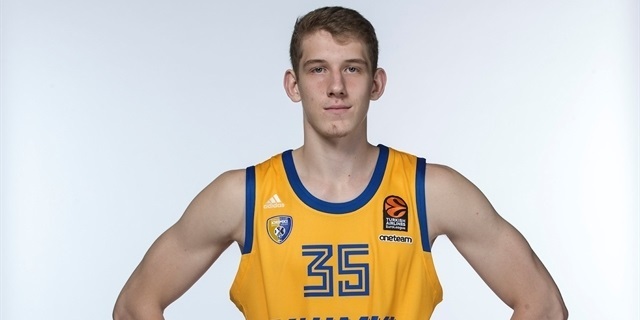 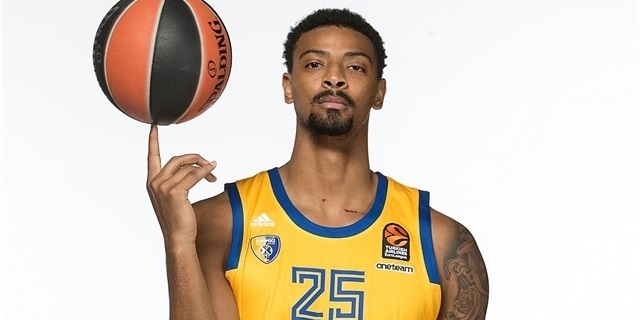 In its EuroLeague debut a year later, Khimki showed it was no average newcomer and reached the Top 16. 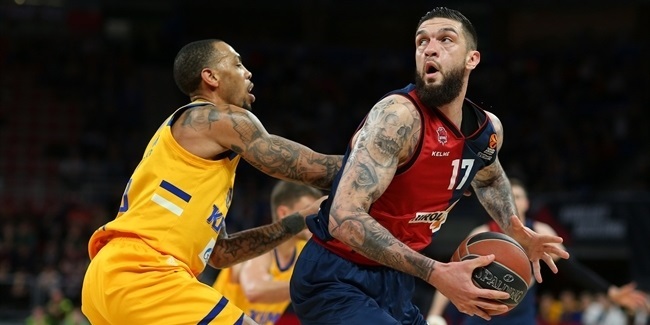 The club added more silverware to the trophy room by winning the VTB United League in 2011 at CSKA’s expense and a year later downed Valencia Basket in the 2012 EuroCup Finals for its first continental title behind the play of Zoran Planinic, Vitaly Fridzon and Kreso Loncar. 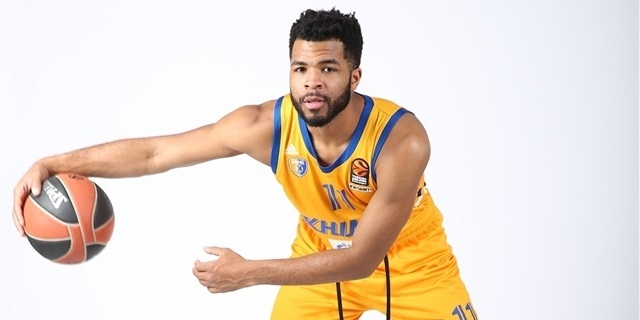 The following season, Khimki’s third EuroLeague campaign finished a win short of a place in the playoffs, but it was also the first of the two straight title-free seasons. 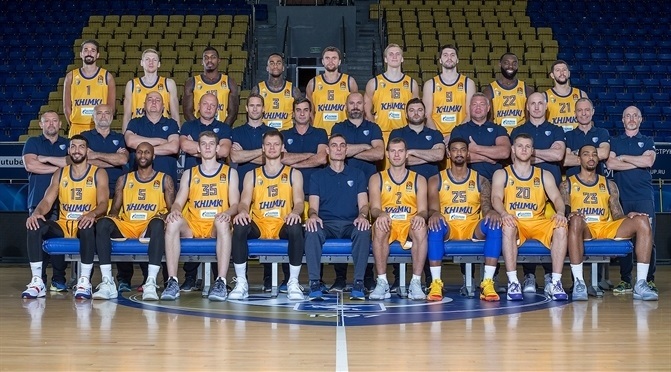 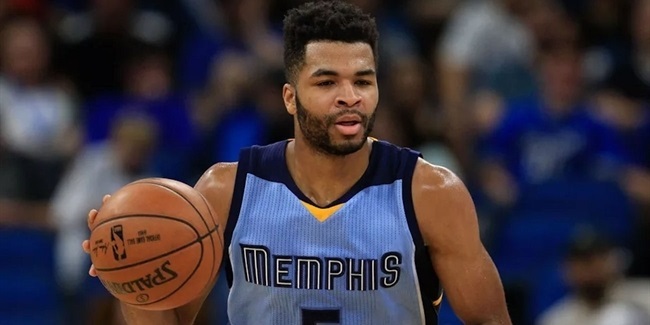 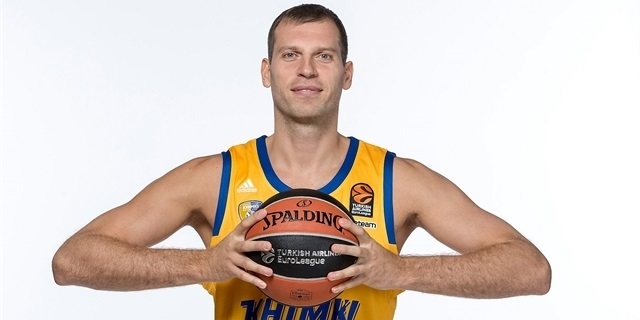 However, Khimki learned from its mistakes in the 2014-15 season. 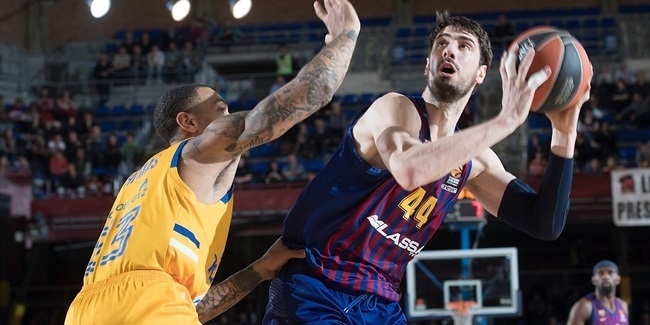 The team won its regular season and Last 32 groups and swept three of its four elimination round series – including the EuroCup Finals against Herbalife Gran Canaria Las Palmas. 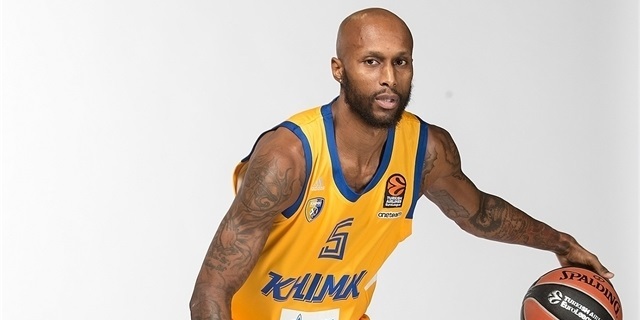 It was an outstanding season in which Tyrese Rice was chosen as the EuroCup MVP and also earned EuroCup Finals MVP honors. 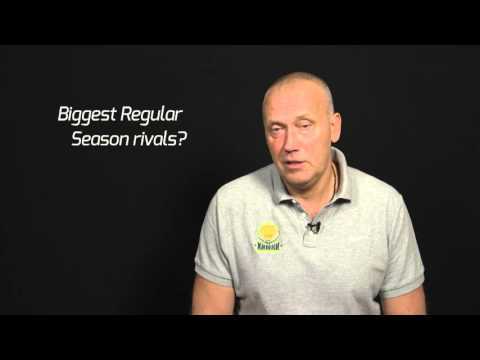 Petteri Koponen joined Rice on the All-EuroCup First Team and Rimas Kurtinaitis became the first head coach to win the competition three times. 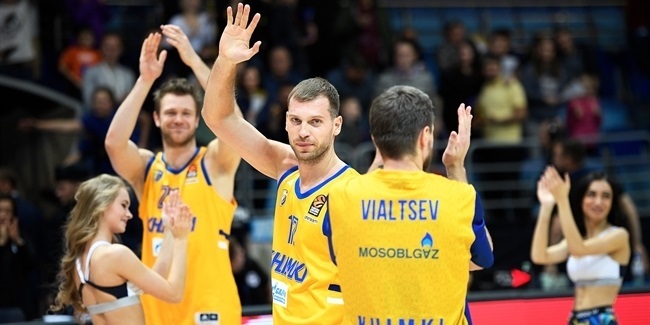 That season Khimki also reached the VTB League finals, but lost to CSKA. 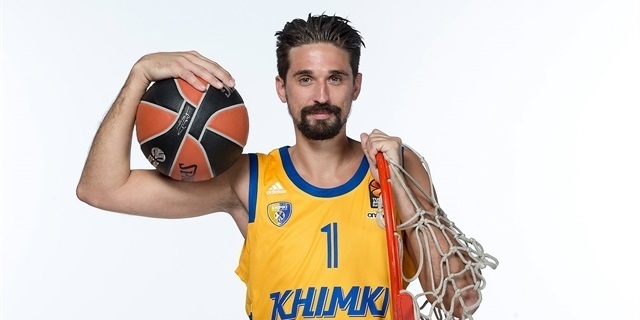 In 2016-17, Alexey Shved was named 7DAYS EuroCup MVP and Khimki reached the EuroCup quarterfinals and VTB finals. 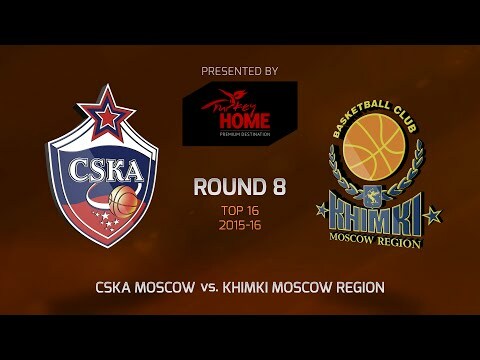 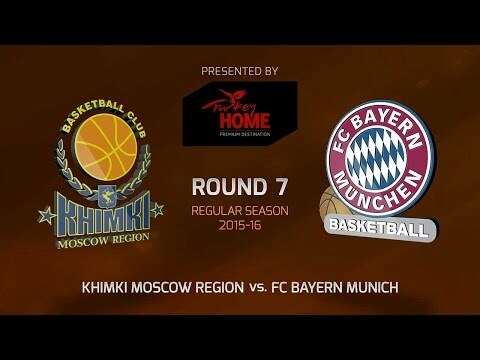 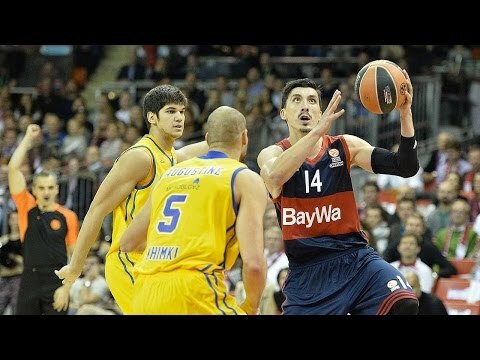 Last season, back in the EuroLeague, Khimki made the playoffs before losing to CSKA Moscow. 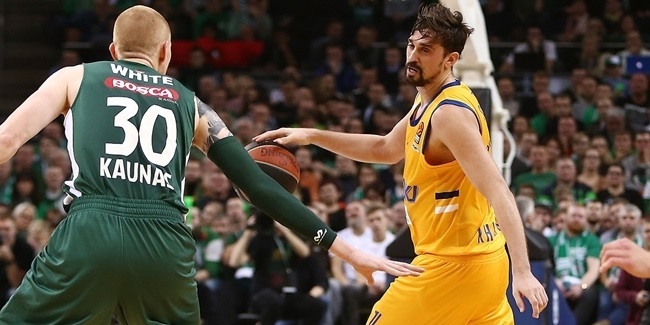 Shved had another amazing year including a new record for points scored in a season. 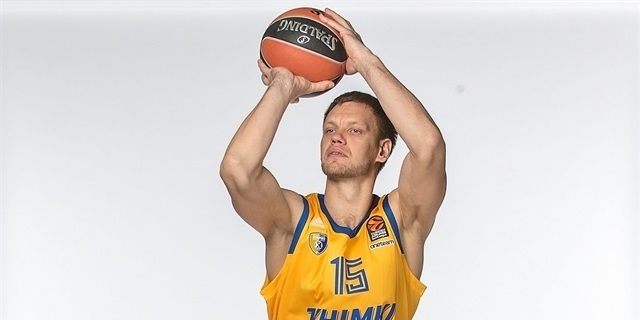 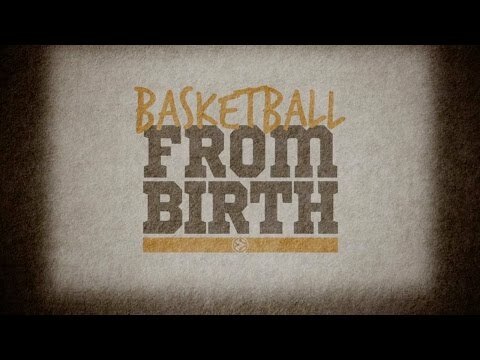 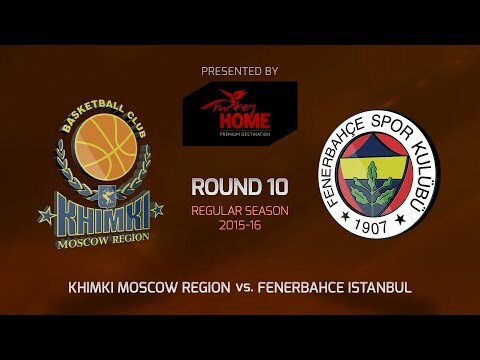 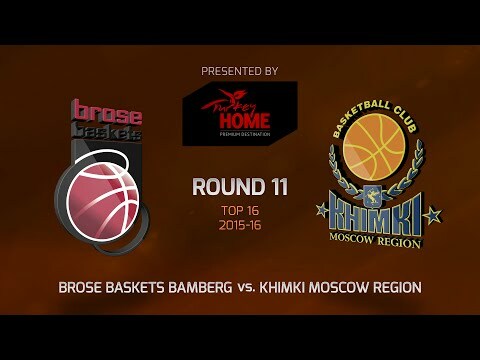 Now, Khimki looks to go one step further.